Search for huts, peaks, streams, forests, towns, other features and coordinates. Drag pin or click map to change its location. Hover over the pin to see your label. To overlay a KML file it must be publicly reachable through a web browser. Need somewhere to host your files for sharing? Get a free Dropbox account and upload your files there (use ?raw=1 at the end of your url). All other share settings are ignored, map centers on KML overlay. More options are available with LINZ's online coordinate converters. Click within an area to get map sheet details and download links. Click a map sheet area on the map to see the download options. A list of compatible devices and instructions for copying files to your device is available from Garmin. Drag and resize the highlighted area to select the area of map you would like to print out. The map series printed will depend upon the size of the area selected. Printed Topo50 / 1:50,000 map sheets are available from Bivouac Outdoor, both online and in store. Invalid: Please correct the invalid field(s) and try again. Your map link has been sent. Error! Unable to send map link at this time. Best to copy and paste the link into your own email client to send it for now. NZ Topo Map is an interactive topographic map of New Zealand using the official LINZ's 1:50,000 / Topo50 and 1:250,000 / Topo250 maps. Map last updated April 3rd, 2019. Map images and placenames sourced from LINZ. Our regular sponsor Bivouac Outdoors who helps fund the site. Service provided by Gavin Harriss. Need something similar? Get in contact. If you are reporting a topo map correction, this is best sent to LINZ who can action the information directly. You can send detail of the correction to customersupport@linz.govt.nz. To send me an email use the form below. Invalid! Please correct the invalid field(s) and try again. Error! Unable to send message at this time. Please try this alternative contact form. NZ Topo Map is developed and maintained in my spare time. There's ongoing hosting and bandwidth costs to keep this free service up and running. If you're feeling generous any donation is greatly appreciated. An alternative win-win method of donating is to buy an Entertainment Membership (book or app). 20% of every membership sold contributes towards the costs of NZ Topo Map. 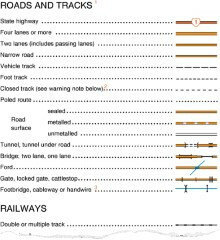 Representation on this map of a road or track does not necessarily indicate public right of access. 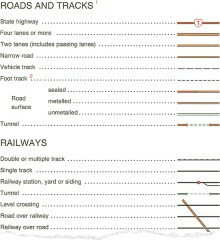 Closed tracks or routes on this map are defined as being no longer maintained or passable and should not be used by recreationalists. The Department of Conservation or other authorities should be contacted for the latest information on tracks and huts. Not all aerial wires, cableways and obstructions that could be hazardous to aircraft are shown on this map. Contours and spot elevations in forest and snow areas may be less accurate. All information and materials available at this web site are provided "as is" without any warranties of any kind, either express or implied, and NZ Topo Map disclaims all warranties of any kind, either express or implied, including warranties of merchantability, fitness for a particular purpose, non-infringement of intellectual property or arising from a course of dealing, usage or trade practice. NZ Topo Map reserves the right to remove any information from the web site at any time. In no event shall NZ Topo Map be liable for any damages whatsoever (including, without limitation, indirect, special, consequential or incidental damages or those resulting from lost profits, lost data or business interruption) arising out of the use, inability to use, or the results of use of this web site, any web sites linked to this web site, or the materials or information contained at any or all such web sites, whether based on warranty, contract, tort or any other legal theory and whether or not advised of the possibility of such damages. If your use of the materials or information on this web site results in the need for servicing, repair or correction of equipment or data, you assume all costs thereof. NZ Topo Map strives to provide you with useful, accurate, and timely information on this web site. Accordingly, NZ Topo Map has attempted to provide accurate information and materials on this web site but assumes no responsibility for the accuracy and completeness of that information or materials. NZ Topo Map makes no commitment to update the information or materials on this web site which, as a result, may be out of date. It looks like you have an ad blocker installed. NZ Topo Map relies heavily on advertising revenue to cover its ongoing hosting and bandwidth costs. If you'd like to see the continued survival of this free service, please consider adding NZ Topo Map to the whitelist of your ad blocker.